Please select dates and click "Search" button to find available room in Park Plaza Victoria Amsterdam. 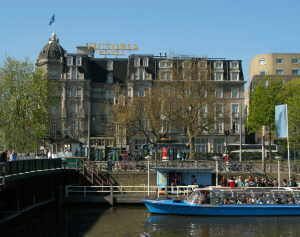 Conveniently located in the city center and opposite the Central Station of Amsterdam. Situated in the heart of the bustling shopping and business district. Just 15 minutes away from Schiphol Airport by train and 45 minutes by car. Parking available at the public parking garage 'Amsterdam Centraal' on the Prins Hendrikkade, just opposite the hotel.